By Lisa Spector, Canine Music Expert, Juilliard Graduate, and co-creator of Through a Dog’s Ear. I noticed the top of the Brown Cow yogurt I recently purchased. 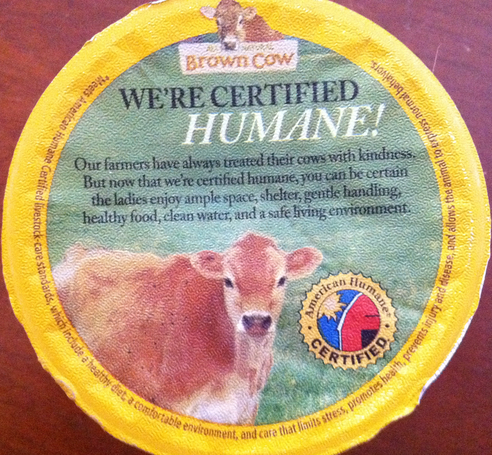 It read "We're Certified Humane". I continued to read, "Our farmers have always treated their cows with kindness. But, now that we're certified humane, you can be certain the ladies enjoy ample space, shelter, gentle handling, healthy food, clean water, and a safe living environment." I reflected on those words and wondered if that phrase could also be used with dog trainers. Just imagine, if a trainer uses science based, positive-reinforcement training, everything associated them would say, "I'm certified humane." A further expanded explanation could read, "My dogs and the dogs in my training classes and lessons have always been treated with kindness. 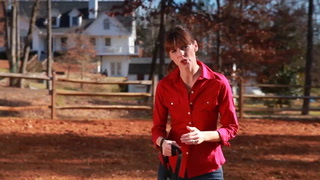 But, now that we're certified humane, you can be certain that they are treated gently, are encouraged to make good choices and are rewarded well for those choices, are not seen as something to dominate, are taught very patiently, while their people are supported in building bonding relationships with their dogs." 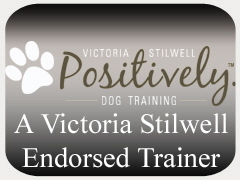 Of course, if you are a Victoria Stilwell licensed trainer (VSPDT), you will likely have the Positively sign to the right (or something similar) on your website, so it will be obvious. Otherwise, it's not always so clear. I try and be very selective in who I follow on Twitter, and often can't tell what training methods a professional trainer uses by looking at their website. Trainers who use dominate based training methods often use deceptive words that could misguide potential clients. And dog lovers in search of a trainer may not know what science based/ reward based/positive reinforcement training really is all about. And the initials KPA, CPDT-KA, KPA-CTP, CDBC, CDAC might as well be in Greek to some of them. What do you think? What words could be used to make it clear what kind of training method a trainer uses? Should a trainer that uses dominate based training methods be required to say so? And should there be a certification that would allow trainers to post a sign that says "We're Certified Humane", if they use positive reinforcement training? If you are a trainer, I'd love to hear what words you use to describe your training methods. Thanks for sharing your comments below. As co-founder of Through a Dog’s Ear, I am offering my readers a free download from our latest release, Music to Calm your Canine Companion, Vol. 3. 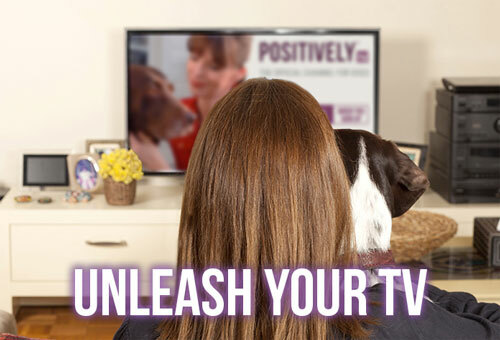 Simply click here and enter your email address and a link to the free download will be delivered to your inbox for you and your canine household to enjoy. 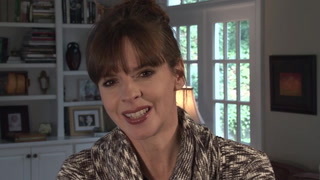 Lisa Spector is a concert pianist, Juilliard graduate, and canine music expert. By combining her passion for music with her love of dogs, she co-created Through a Dog's Ear, the first music clinically demonstrated to relieve anxiety issues in dogs.